Stephen Hawking, the world-renowned scientist has died at the age of 76. His full name is Stephen William Hawking. He was honored with British honors like CH CBE FRS FRSA. The family members said that he took his last breath peacefully at his home in Cambridge, early Wednesday. The British theoretical physicist rose to fame with his work on black holes and relativity. During his lifetime, he has written many popular science books which includes A Brief History of Time. 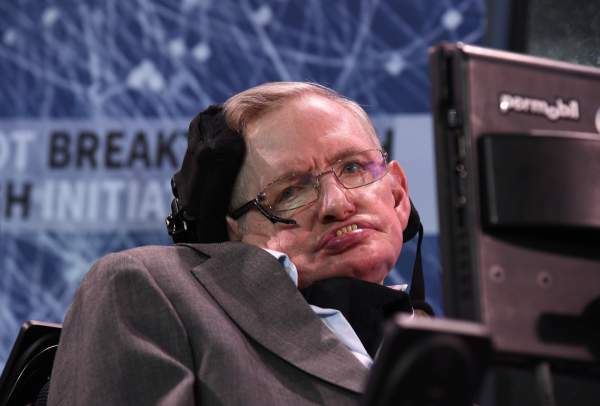 When Hawking was 22 years-old, he was diagonsed with a rare form of motor nurone disease. Back then, he was told that he would survive only for a few years. Though the disease didn’t kill him, but made him to stick to wheelchair. He became almost unable to speak. So, he was forced to use a voice synthesizer to communicate with people. Professor Hawking is survived by three of his children – Lucy, Robert, and Tim. In a statement, they praised him and said that they are saddened with his death. The scientist became the first one to theorize cosmology as a union of relativity and quantum mechanics. He proved the previous theory that black holes don’t let anything out of them, even light. It did it after discovering that black holes do leak energy and fade to nothing. The phenomenon was named as Hawking radiation, after his name. The professor worked with mathematician Sir Roger Penrose and was successfully able to demonstrate that Einstein’s General Theory of Relativity says that space and time began in the Big Bang and ends in black holes. Apart from the academic arena, he made various appearances in several television shows. The list includes The Big Bang Theory, Red Dwarf, and The Simpsons. Moreover, Oscar winner Eddie Redmanyne portrayed him in both film and TV in The Theory of Everything. It explained how he rose to fame including his relationship with his first wife, Jane. Studied PhD in Cambridge and earned place at Oxford University to teach natural science in 1959. Published in 1988, his book ‘A Brief History of Time’ sold over 10 million copies. 2014 film ‘The Theory of Everything’ was made on the lifesotyr of Stephen Hawking, acted by Eddie Redmayne. The inventor of the web, Tim Berners-Lee paid tribute to Professor Hawking, and said the following.